This tutorial is freely shared.... Just please don't sell it or claim it as your own. This is a long tutorial, using lots of layers, but I am leaving it on one page for ease in printing it. This tutorial is very detailed and is written so that those who are beginners to Paint Shop Pro can create it. 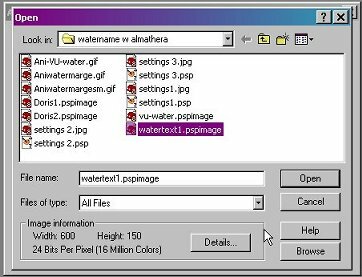 If you do not have a usual folder for your filters, open Paint Shop Pro8. 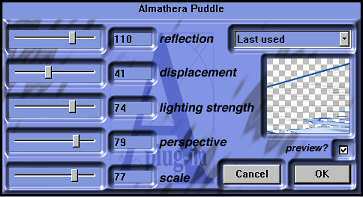 Click on File> Preferences> File Locations> Plugins and add the new location of the Almathera Filter. Unzip the Font file and open it, then minimize it (you do not need to install it). OK .... LET'S GET STARTED! 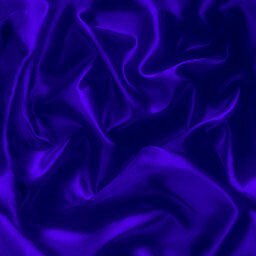 Open a new image 600 X 150, 16 million colors, Transparent Background Save this file as watertext1.pspimage. Below is a copy of the PSP 8 Text Ribbon. Place your text on the image. Now, using the mover handles on the Vector text, move the text until it is spread out and the top and bottom are close to the top and bottom edges. 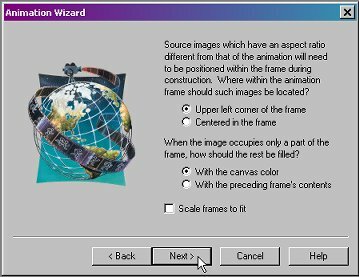 Click on Objects> Align> Center in Canvas. 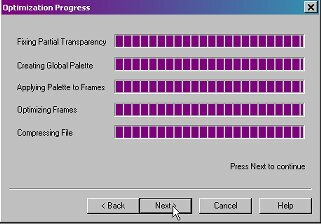 At this point your layer palette should look like this. We will be using the 9 copies and leaving the original intact. I do this .....just in case. 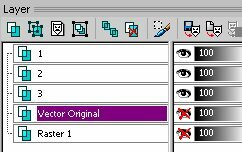 Click on the layer name Copy 9 of the original Vector Layer, then Click on the red X on the eye beside Copy 9 of the Original Vector Layer. (This activates the layer). 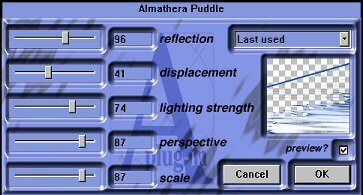 The settings are as follows: reflection 110, displacement 41, lighting strength 74, perspective 79, scale 77. Now your text looks similar to this....ugly isn't it? Move Layer Copy (7) of Original Vector above the merged layer. Click on the red X on the eye to make it visible. 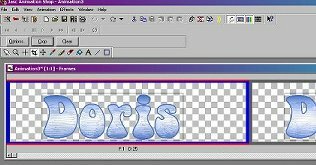 Place your cursor on the layer name Merged and Right Click>Merge >Merge visible. Rename the layer to 1. Click on the eye to turn that layer off. Click on the red x on the eye beside Copy (6) of Vector Original Layer to open it. 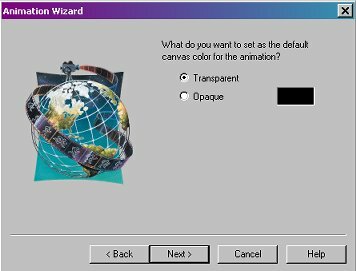 Click on the layer name to select that layer. Move Layer Copy (4) of Original Vector above the merged layer. Click on the red X on the eye to make it visible. 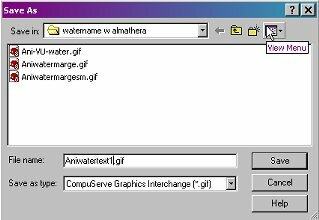 Place your cursor on the layer name Merged and Right Click>Merge > Merge visible. Rename the layer to 2. Click on the eye to turn that layer off. 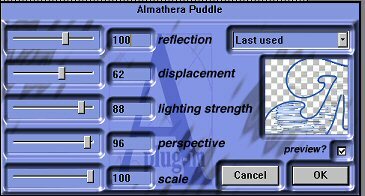 The settings should be as follows: Reflection 100, displacement 62, Lighting strength 88, perspective 96, scale 100. Move Layer Copy of Original Vector above the merged layer. Click on the red X on the eye to make it visible. 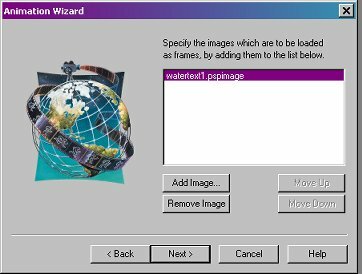 Place your cursor on the layer name Merged and Right Click>Merge > Merge visible. 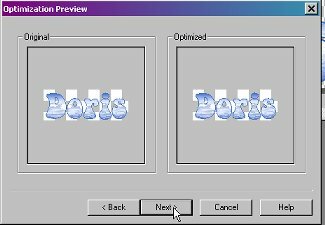 Rename the layer to 3. Click on the eye of layers 1 and 2 to turn those layers on. 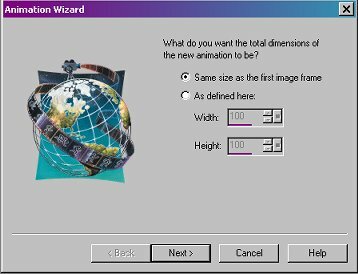 You can either delete the layers Vector Original and Raster1 or just leave them turned off. I will leave them just turned off. SAVE Next we will animate the water. Upper left corner of the frame and with canvas color should be checked. Click Next. 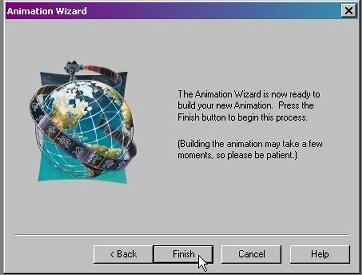 Be sure Yes, repeat the animation indefinitely is checked. Change the number in the bottom box to 25. Click Next. Notice there is lots of empty space around the text. We need to fix that. 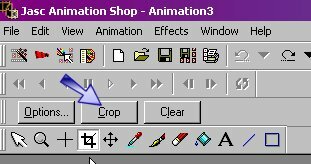 Click on the crop tool Outline the area that you want to keep. Note that it will outline the same area in each frame. the time of the movement if necessary... (See Below). 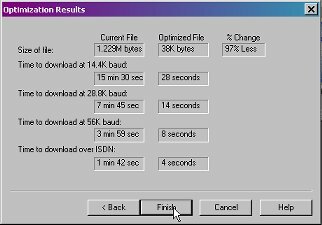 If the Animation is good, click on File, Save As and give it a filename. (Be sure you know the folder it is saved in) Click Save. 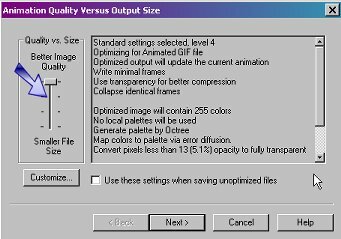 This screen determines the quality versus Output size. I usually choose the second mark if the picture still looks ok on the next screen. After clicking on your choice, Click Next. 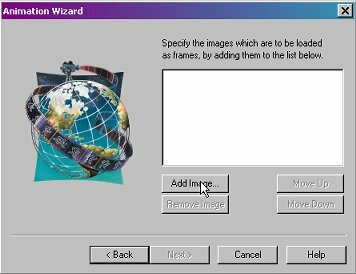 the optimized image is satisfactory, click next. 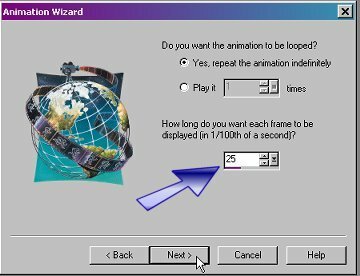 If not satisfactory, click back, and change the Animation Quality screen. as the amount of change. 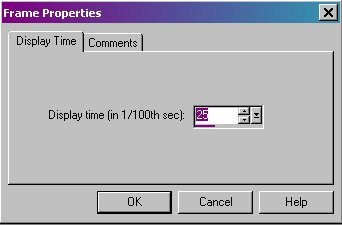 If satisfactory, click Finish. It is freely shared.... Just please don't sell it or claim it as your own.